Congratulations to Jolene Lin on her appointment to the Editorial Board of Journal of Environmental Law (JEL), published by Oxford University Press. 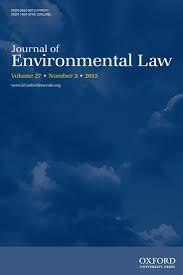 JEL is one of the leading international journals on environmental law and an "an authoritative source of informed analysis for all those who have any dealings in this vital field of legal study" (JEL website). Jolene also sits on the editorial boards of Transnational Environmental Law (Cambridge University Press), Climate Law (Brill), and the book series Legal Perspectives on Global Challenges (Eleven International Publishing).